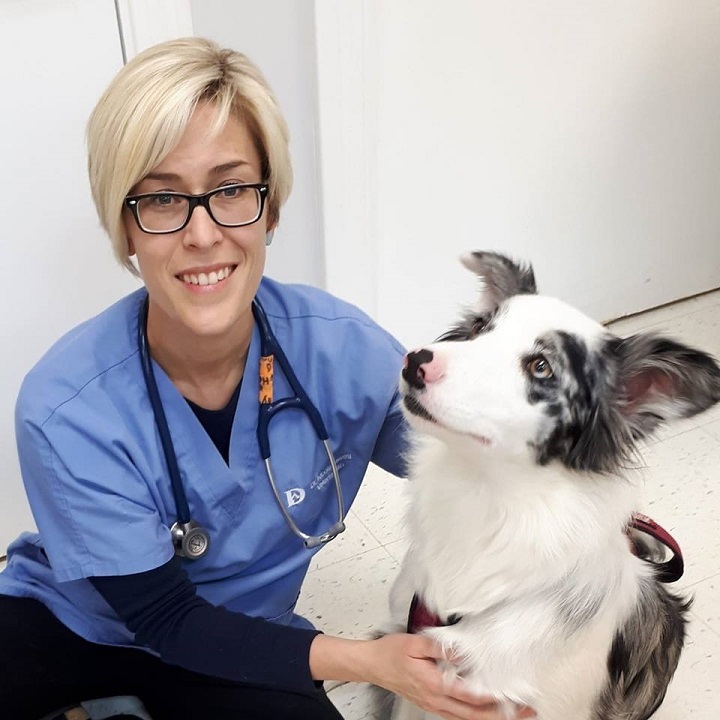 Dr. Jewett is our bilingual veterinarian and is from a small farming community in southeastern New Brunswick. Being a veterinarian has always been Nicole’s dream. Her journey to accomplish this dream began at the Nova Scotia Agricultural College, where she obtained her BSc Degree in Agriculture in 2001. It is there she learned the fundamentals of farming, animal husbandry, and agriculture. She went on to graduate from the Atlantic Veterinary College in PEI in 2005. During her first 4 years as a veterinarian, she worked in a mixed animal practice treating cats, dogs, horses, cattle, sheep and goats as well as alpacas. Since moving back to Fredericton in 2009, she has been working exclusively with dogs and cats. She likes all aspects of veterinary medicine but has an interest in internal medicine, dermatology and ultrasound. Nicole and her husband Keanen have two daughters Isabelle & Addison. They also share their home with two Labrador Retrievers, Percy & Rosie and two rabbits Sprinkles and Gus. She spends her spare time on her small hobby farm, gardening and tending to her chickens.